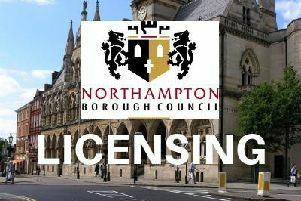 Parents were reported to social services after drink driving in Northamptonshire with two children in the back seat. Police carrying out a drink / drug driving campaign in Corby last night pulled over a mum, who blew 44 mg/100ml of breath, when the legal limit is 35. Her husband, travelling in the passenger seat, was also drunk and the car was carrying two children. Officers, who were tweeting some of their work live last night, caught out several people who were sober but were suspected of other offences. One driver tried to pretend he was his uncle as he wasn’t insured, but was easily caught out when officers checked the relative’s driving licence photo with the DVLA. Shortly after, further checks revealed the man had stolen the car and he was charged with taking a vehicle without consent, having no licence and driving without insurance. Other successes included arresting a driver who had been smoking cannabis and reporting a parent for driving with five-year-old in the front seat.